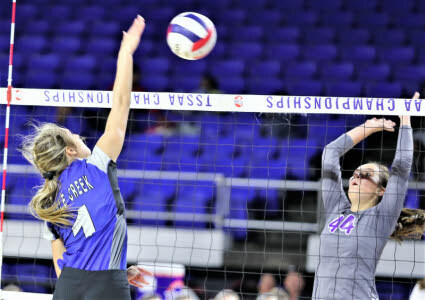 Sale Creek's Madysun Steele (61) fires a shot over the net against Watertown's defense. 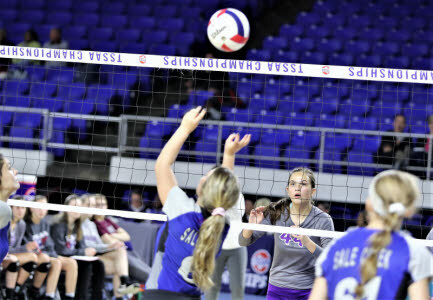 Sale Creek's Sophie Dozier sets the ball as teammate Allison Smith (9) awaits the ball. 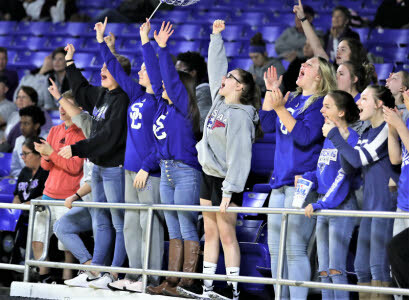 Sale Creek fans cheer for their Lady Panthers. 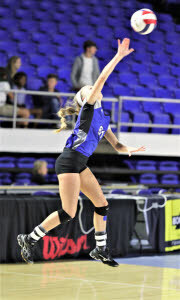 Kayla Phillips of Sale Creek hits a kill shot. 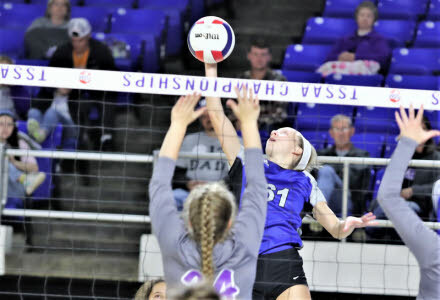 Sale Creek's Jayda Perrry sets the ball. 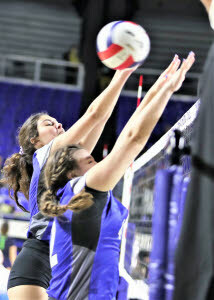 Sale Creek's Madysun Steele (61) prepares to hit a kill shot as Watertown's Brittni Allison looks to defend. 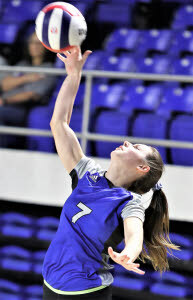 Madysun Steele serves for Sale Creek. 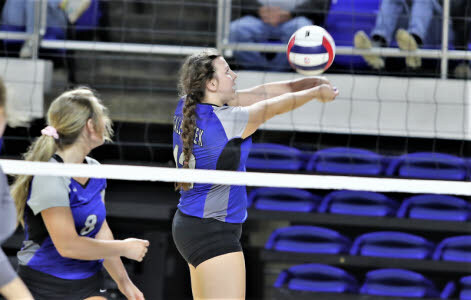 Sale Creek's front line defends. 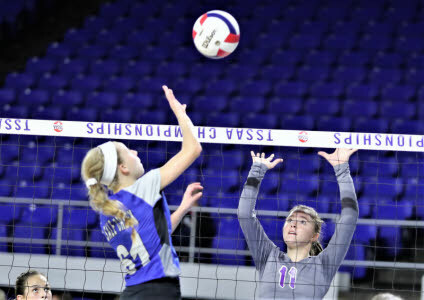 Sale Creek's Reagan Ayres (1) drives home a kill shot as MacKailan Cherry defends for Watertown. 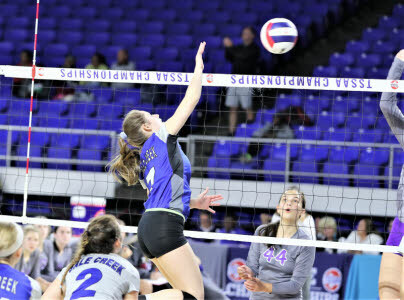 Lillie Morgan serves for Sale Creek. 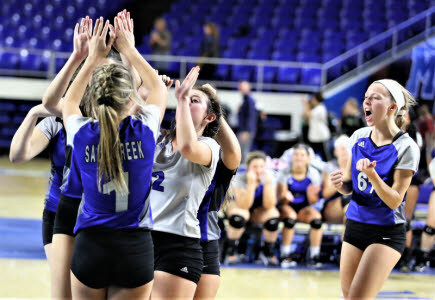 Sale Creek celebrates a point. 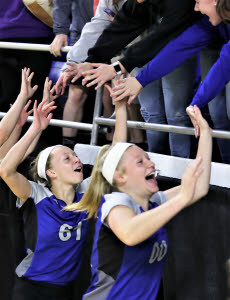 Lady Panthers high five their fans.